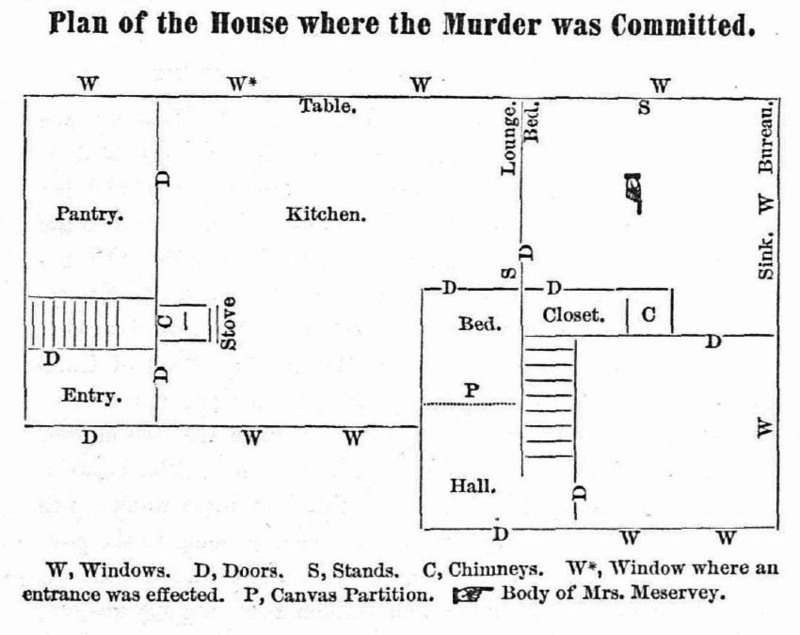 Murder by Gaslight: The Hart-Meservey Murder. The winter of 1877 Captain Luther Meservey went to sea leaving his wife Sarah alone in their home in the village of Tenant’s Harbor, Maine. When Sarah was found strangled in her own home, the people of this small but close-knit community were terrified at the thought of a killer in their midst. Nathan Hart, a neighbor of the Meservey’s was tried and convicted on evidence so circumstantial that many in town refused to accept the verdict. The controversy persisted for generations and to this day, the murder of Sarah Maservey is considered one of Maine’s great unsolved crimes. In 1877 Tenant’s Harbor, Maine, was a tiny seacoast village consisting of around forty families of fishermen, lobstermen and sailors. They were a sociable group with plenty of community activity to brighten the bitter winter months, but Sarah Meservey kept to herself and did not join them. In fact, some said she preferred it when her husband was away at sea and she lived alone. That is probably why no one seemed to notice when she disappeared from public view for five weeks during that December and January. Sarah was last seen on December 22, 1877, returning from the post office. A neighbor girl, Clara Wall, walked a few steps with her before Sarah entered her house. It was not until January 29, with the Meservey mail piling up at the post office that community leaders decided to check on Sarah. Captain Albion Meservey , Luther Meservey’s cousin, went with two other men to Sarah’s house. When they got no answer, they checked the windows and, finding one that was unlatched, they entered the house that way. They found the rooms in disarray; furniture overturned, drawers ransacked, mirrors broken. In a spare room on the first floor they found the body of Sarah Meservey wrapped in a blanket. She had been strangled by her own scarf—a white woolen scarf commonly called a “cloud”—wound tightly around her neck and knotted. Her wrists had been bound behind her head with fisherman’s cod line. She was fully clothed and still wearing her overcoat and rubbers, indicating that killer attacked her soon after she entered the house. At first the people of Tenant’s Harbor did not believe that one of their community was a murderer. They thought the killer had come from the sea as had happened five years earlier on Smuttynose Island, further down the Maine coast, where two women were brutally murdered by a man who came to the island by rowboat. 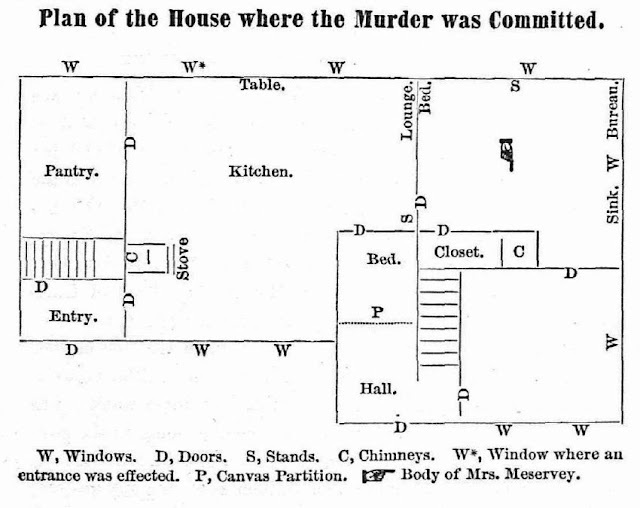 But those who entered the house could tell that this killer knew the layout and was searching for something. Spent matches on the floor indicated that he was searching by match light. Though he did not find all of her money, motive was surely robbery and the killer was someone from the village. The letter to Mrs. Hart was dated February 10, but postmarked from Philadelphia on February 16. That, together with the condition of the enveloped led to the belief that the letter had been sent to Philadelphia in another envelope and remailed from there. The authorities began to compile circumstantial evidence against Nathan Hart. His stepson Simeon was suddenly flush with cash; he claimed he had won it in a poker game with Nathan. The matches found in the house were an unusual English brand, used in the Hart household. Most importantly, the handwriting on both notes matched a sample of Nathan Hart’s handwriting taken from a ship’s log provided by Captain Albion Meservey. Living in Tenant’s Harbor at the time was a professor of penmanship and a handwriting expert named Alvin R. Dunton,. Using as a benchmark, the ship’s log whose entries had been made by Nathan Hart when serving on Captain Albion Meservey's ship, Dunton ascertained that the hand that wrote the ship’s log had also written both of the notes. Nathan Hart was arrested for the murder of Sarah Meservey . In May 1878, with Nathan Hart still in prison, another letter came to Tenant’s harbor. This one was postmarked Providence, Rhode Island, and was addressed to Mrs. Mahala Sweetland. The letter was long and rambling; in several thousand words the killer explained that, a long time ago, he had gone with Sarah Merservey, had gotten fresh with her and received a slap in the face. He returned the night of the murder to see if she had told anybody. He had planned to rob her and burn the house down. The letter told in detail how he fought with Sarah then strangled her with the scarf. He left the house with $1,100. The Sheriff first believed that this letter had been written by someone else, but Alvin Dunton concluded that it had been written in the same hand as the other two. It was then believed that Hart had written the letter in jail and given it to his wife to mail. He was allowed no more visits with his wife and the fact that no more letters arrived was considered proof that he had been the writer. Nathan Hart was indicted by the Grand Jury on the strength of the circumstantial evidence—particularly Dunton’s handwriting analysis. At the time of the indictment neither Hart nor his wife could say for certain where Nathan Hart was the evening of December 22, when the murder was committed, or December 24, when the first note was left in the murder house. At trial in October however, Hart, his wife, and his stepdaughter all testified that they were positive Nathan Hart had been home the night of December 22. On December 24 he was visiting his granddaughter. But the most important witness to change his testimony was Alvin Dunton. He now believed that he had been deliberately deceived when Albion Meservey gave him the ship’s log. The log had been written by two different people and, although the first part of the log matched the notes and letter, the second did not. He now believed the sample he was given was not written by Hart. Moreover, neither the notes nor the log matched more recent samples of Nathan Hart’s handwriting. Dunton became convinced that Hart did not write the notes and at the trial testified for the defense. In his closing arguments, County Attorney Lindley M. Staples, stressed the discrepancies in the Harts’ testimony. He maintained that Nathan Hart was the only man in the county with the character, disposition, opportunity, courage and requisite knowledge to have done the deed. The trial lasted six days. The jury deliberated for ninety minutes before returning a verdict of guilty. Hart’s attorney, J. H. Montgomery, had said in his closing arguments that, should Hart be sentenced to prison, he would make it his life’s work to free him. However, no attempt was made to appeal the case. 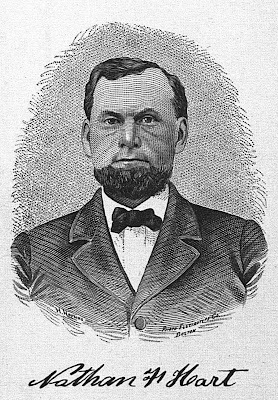 Alvin Dunton was so distressed over his role in convicting a man that he now believed innocent, that in 1882 he wrote a book, The True Story of the Hart-Meservey Murder Trial, describing how Nathan Hart had been railroaded. The book’s subtitle is a good summary of its nature: In Which Light is Thrown Upon Dark Deeds, Incompetency, and Perfidy; and Crime Fastened Upon Those Whose Position, If Not Manhood, Should have Commanded Honest Dealing. In the book he not only attempted to prove Hart’s innocence but in no uncertain terms, accused Captain Albion Meservey of murdering Sarah Meservey, writing the notes and deceiving Dunton. The book also indicted nearly everyone involved in the trial: Sheriff Low, County Attorney Staples, Hart’s attorney, J. H. Montgomery, and even fourteen-year-old Cara Wall who had testified to seeing Sarah Meservey the day she was murdered. Cara could not be trusted, he said, because she had later been accused of trying to poison a rival for her boyfriend’s affections. Those mentioned in the book bought as many copies as they could, attempting to keep it out of circulation in Tenant’s Harbor. Captain Albion Meservey sued Dunton for libel, seeking $20,000 damages. 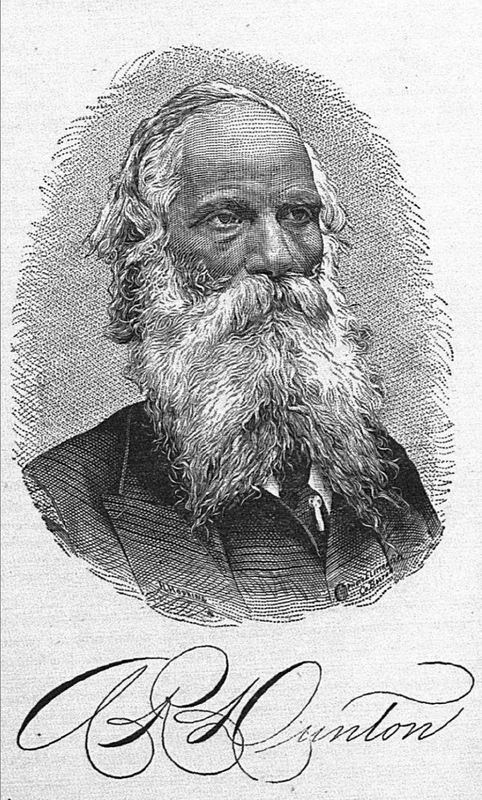 He was awarded $1,855, but could not collect because Professor Dunton had moved to Boston. Dunton continued to accuse Meservey of murder, Meservey sued again and was awarded $1,686.78, but never collected that amount either. Nathan Hart died in prison of “malignant jaundice,” five years after being sentenced. Legend in Tenant’s Harbor says that Hart actually died from eating a poisoned cake that a woman had brought to him in prison. More than fifty years later, Hart’s attorney, J. H. Montgomery decided to reveal the “facts” in the case. He said that Nathan Hart had actually murdered Mrs. Meservey. He never intended to kill her, just to choke her into submission. Hardly anyone in Tenant’s Harbor believed this story. 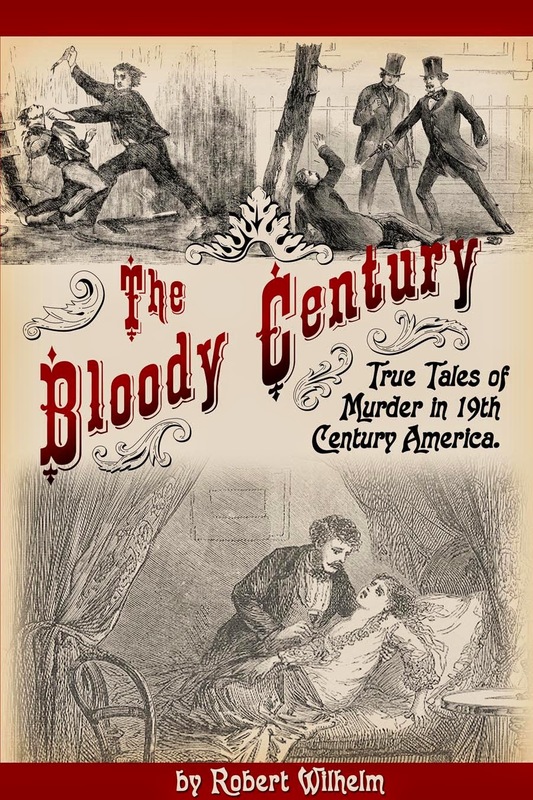 Dunton, Alvin R. The true story of the Hart-Meservey murder trial: in which light is thrown upon dark deeds, incompetency, and perfidy : and crime fastened upon those ... should have commanded honest dealing. . Boston: Published by the author, 1882. Snow, Edward Rowe. Mysterious tales of the New England coast . New York: Dodd, Mead, 1961. That is a particularly strange case. From what I've read about it, it's hard to know for sure what happened, but I'm not at all convinced Hart was guilty. You might be right. It feels like there was more going on in that town than anyone was telling.